As with previous Souls games, there are multiple ways to end the game, even if they’re not readily apparent. If you haven’t yet touched the final bonfire, here’s a guide to the various endings in Dark Souls 3. There are spoilers to follow! So far, we know there are four endings for Dark Souls 3, each one requiring an additional layer of complexity to unlock. Three of them are possible to achieve no matter how you’ve played the game, while one of them will likely require you to start over (or, um, watch it on YouTube). The final boss in Dark Souls 3, Soul of Cinder, is a brutal and bruising fight, requiring your full attention. Once defeated, it might be tempting to touch the calming bonfire that appears, but if you do so, that’ll trigger the game’s first ending, in which the player links the first fire. That’s not a bad thing, necessarily, but it doesn’t provide much closure because the player hasn’t done much to change the world; instead, they’ve decided to maintain the status quo and allow the fire to keep burning. 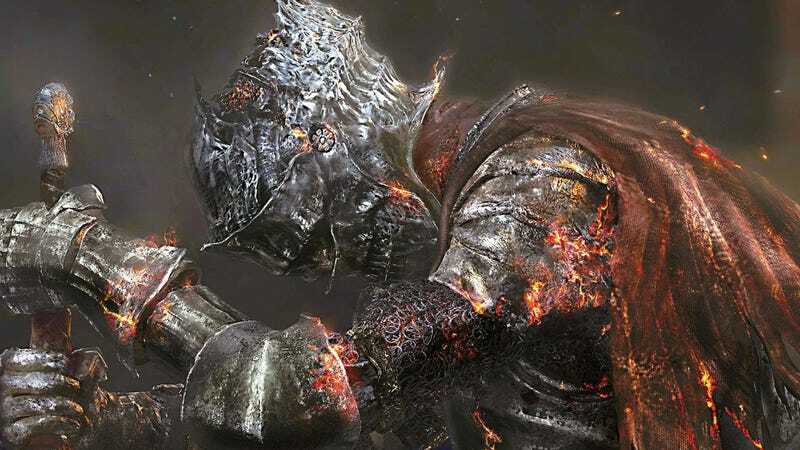 Though fire has imbued many with power in Dark Souls, it’s been a corrupting influence. Though change is scary, perhaps ending the age of fire and welcoming something new might prove best for everyone. To do that, you need a Fire Keeper. Thankfully, there’s one in Firelink Shrine, but they don’t have the power to help you just yet. Note: It’s possible to defeat the Soul of Cinder and still unlock this ending. You might have missed an alternate route in Lothric Castle, which allows you do discover an alternate location to an optional boss, Consumed King. Remember the ladder that dropped in the High Wall of Lothric, where you defeated the Dancer of Boreal Valley boss? At the top of the ladder, head left, and you’ll find a way to a new area, that’ll link to the Consumed King. In the room beyond the Consumed King, however, is an illusionary wall. From there, there’s another optional boss fight against an enemy called Champion Gundyr, an uncorrupted version of the game’s first boss fight. Beyond Gundyr is an alternate version of the Firelink Shrine you’ve spent time with in Dark Souls 3, and if you poke around, you’ll find an item called Eyes of a Fire Keeper. Present these to the Fire Keeper in the other Firelink Shrine, and you’ll have a chance to summon the Fire Keeper next to the bonfire by the Soul of Cinder. You can finally break the cycle of fire. The steps for this ending are the same as the last one, but there’s a brief moment when the Fire Keeper is communing with the fire, in which players can take an action. If you choose, you can strike down the Fire Keeper, resulting in a line of ominous dialogue that makes the future seem shaky. If you, like me, had no idea this ending existed when they made it to the end, you won’t have a way of pulling it off without starting from scratch. There’s basically no way to figure this one out without a complete guide. I’ve gone ahead and embedded a thorough breakdown above, but if you prefer something in text form, the Dark Souls 3 wiki has you covered.